New York Giants‘ general manager Dave Gettleman and head coach Pat Shurmur made several rash decisions over the weekend, but none spurred more confusion than the release of 2017 third-round pick, Davis Webb. 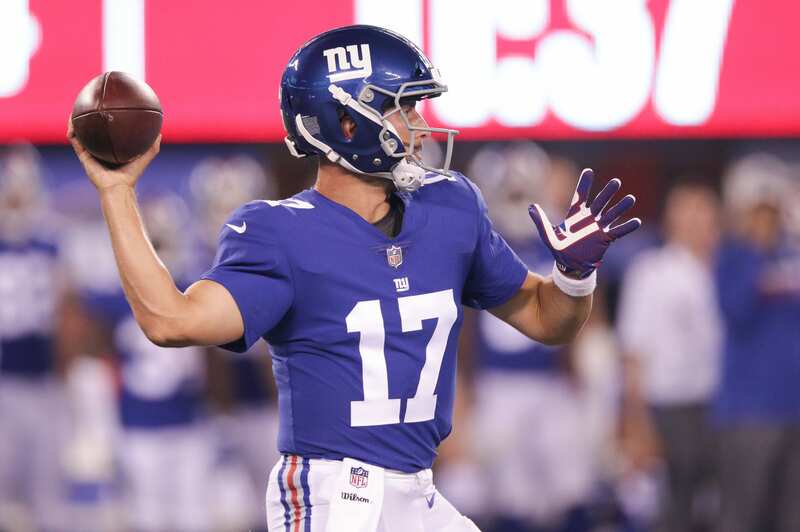 Keeping quarterbacks Kyle Lauletta and Alex Tanney truly represented the change of the guards for the franchise, as the new regime chose to overhaul the roster and favor their draft picks over those of Jerry Reese. Webb’s release caught everybody by surprise, especially those that were high on the signal caller. He had great relationships with Eli Manning, Odell Beckham Jr., Evan Engram…to keep it short, something doesn’t seem right. He looked great when playing with the first-team and has prototypical physical attributes for an NFL QB. Being that Webb’s release was confusing, let’s see what Shurmur had to say about Lauletta and why he made the decision to keep him and Tanney. “I feel like they are better choices for us now,” Shurmur said. Well, there ya have it. Webb has all of the intangible traits to compete at the NFL level, but it wasn’t enough. Lauletta on the other hand presents a more precise and accurate option. Lauletta’s strength seems to be as a game-manager, similar to that of Alex Smith. He’s on the smaller side but is capable of escaping the pocket and finding receivers in the open. Can the New York Giants’ fourth-round pick play if called upon? The rookie started the preseason finale against the Patriots, amassing 118 yards on eight of 19 attempts. He also managed a touchdown and two interceptions. Lauletta received a good chunk of playing time to show what he’s capable of, and the fact of the matter is that a poor performance is likely what Shurmur wanted to see. He wanted to gauge his weaknesses and understand what he needs to develop. Webb had one very bad game against the Cleveland Browns in week one of the preseason. He consistently overthrew wide receivers and was nervous before throws. The mental prowess seemed to be absent at times despite his work ethic and colorful binders. It’s fair to give him the benefit of the doubt, but ultimately Shurmur didn’t like what he saw from the Giants’ third-rounder. Lauletta on the other hand showed confidence and precision when it came to throwing to his receivers. He wouldn’t hesitate or stutter. The rookie would try and fit the ball into tight windows despite coverages. Shurmur seemed to like that aspect of Lauletta – his confidence and ability to not let his nerves get to him. The throws that were too risky can be extracted by understanding the movements of corners and coverages a bit better. Experience should help Lauletta tremendously.